Illinois residents receiving government assistance are qualified for free cellular phone service and a wireless handset at no cost. Get started right away! Just click the Apply Now button above then fill in the on-line form, submit it, and you'll get your free cellphone in just a few days. Get 1000 wireless minutes per month for no charge. That is usually plenty but if you run out, you can purchase more as needed at great low rates on a pay-as-you go basis. 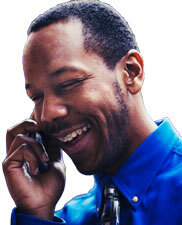 You can place both local and long distance calls, retrieve voicemail, and send and get text messages. Minutes on the 1000 minute per month plan expire each month on your service expiration date and do not roll over. This plan also includes text messaging! The free wireless plan is available to low income individuals and households in Illinois through the Lifeline assistance program. In the state of Illinois, there is a not-for-profit organization called the Universal Telephone Assistance corporation who's purpose is to oversee the Universal Telephone Service Assistance Program which provides Lifeline. You can apply for this subsidy simply by requesting a Lifeline program through your local providers. The Order Now link above takes you to an application for Lifeline in Illinois. All you need to do is submit any required proof of income or program participation along with the on-line application / Lifeline form. We'll get your phone out to you right away! Wireless plans in IL include Caller ID, Call Waiting, Three-Way Calling, Call Forwarding, and Voicemail.